The implications were radical. History was no longer seen as reducible to the expressed will of the elite but as a process elucidated through the actions of ordinary people in their confrontations against the powerful. To tell history from the perspective of the oppressed and marginalized was to recognize that to the degree there has been any progress in the United States, it has come from the struggles of regular people demanding rights, justice, democracy. Zinn eschewed neutrality, choosing to write reports, news stories, and multiple books from the perspective of the movements that he was active in. Prolific and without pretension, Zinn chronicled the civil rights and anti-Vietnam War movements for the general public. His writing exposed the broader world to the realities facing ordinary Black people across the South while also challenging the assumptions that the United States, by the sheer volume of its bombing campaign in Vietnam, could impose its will on that tiny country. This is a book written with a purpose that goes beyond touting the lifetime achievements of a well-known and influential person. What makes it an essential read is that Zinn is writing in response to the timeless questions that burn within anyone who cares about creating a more just society and world. Is change possible? Where will it come from? Can we actually make a difference? How do you remain hopeful? Zinn returns to these questions graciously and with humility by exploring his own journey toward radicalism. There are times when leftists disparage liberals for their continued faith in the system, becoming exasperated when they have not yet come to radical conclusions. Zinn makes the simple yet critical point that people make their own way to political consciousness: “You read a book, you meet a person, you have a single experience, and your life is changed in some way. No act, therefore, however small, should be dismissed or ignored.” For Zinn, this fluidity of political consciousness— people who may be completely passive in one moment but can be moved to act in a different moment—was the key to the emergence of a mass movement. To write off the possibility of change was to essentially write off the possibility of building the kind of movement necessary to change what was wrong in the world. The power of Zinn’s story lies in its familiarity or even ordinariness. 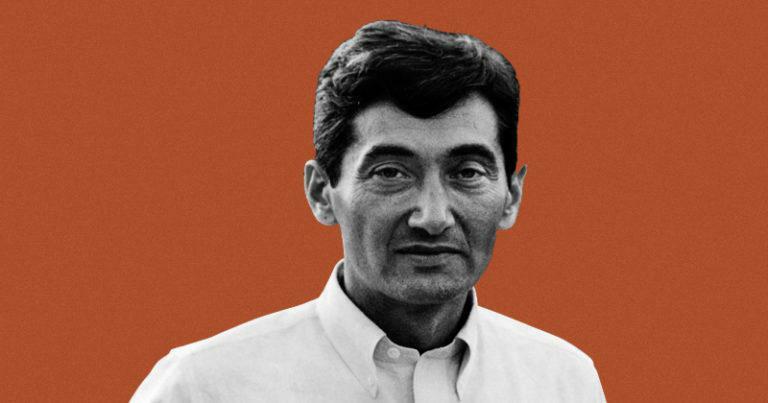 Howard Zinn was the son of Jewish immigrants, growing up in the hard poverty of the Great Depression era. He wrote fondly of how his parents’ hard work kept him and his brothers alive despite crushing poverty. These experiences challenged the regular refrain that people are poor because they don’t work hard. He writes in great detail about the backbreaking work of his mother and father to stretch nothing into something. Zinn’s family poverty was foundational to his empathy and affection for the daily struggles of ordinary people. It is also vital to his spirited belief in the abilities and intellect of regular people to be their own fiercest advocates in the struggles to change the circumstances of their lives. Zinn’s involvement with the Communist Party in his youth made a lifelong impression on him, both in terms of the members’ knowledge and in their confidence about the promise of socialism. It was not only their willingness to argue for what they believed but their commitment to their struggles. The Communist Party in Harlem in the 1930s made a name for itself when its mostly white membership marched in the streets against police brutality and often intervened to stop Black people from being evicted from their homes during the Depression. Zinn’s involvement with the Communist Party in his youth certainly shaped his politics and ideas, as did his experiences of poverty and hardship at home. Sometimes, though, there are more acute shocks to the system that force you to look at the world in a different way. From that moment on, I was no longer a liberal, a believer in the self-correcting character of American democracy. I was a radical, believing that something fundamental was wrong in this country . . . something rotten at the root. The situation required not just a new president or new laws, but an uprooting of the old order, the introduction of a new kind of society—cooperative, peaceful, egalitarian. It’s an image that immediately evokes memories of the violent sacking of the Occupy encampments in the winter of 2012 or of the police siege in the summer of 2014 that turned the protests of the murder of Michael Brown Jr. into an uprising for the right to protest. Though the faith that regular people have in American democracy has certainly waned since the 1930s or ’40s, the deep belief in the right to free expression and protest is ingrained. These violent and, often, unprovoked responses of the state to very ordinary displays of protest are shocking and call into question one’s assumptions about our society. The shock is an awakening and then an impetus to act. Even when looking at the struggles of ordinary people, there has been a tendency to reduce those struggles to the heroism or particular genius of a “charismatic leader.” This has certainly been the case with the civil rights movement, which is continuously reduced to the actions or speeches of Martin Luther King Jr. while the broader context within which he operated or the thousands of others who made “the movement” an actual movement is ignored. Zinn, who was one of two “adult advisers” for the Student Nonviolent Coordinating Committee (along with Ella Baker), provides a different perspective. For example, Zinn chooses the little-discussed campaign against racial segregation in Albany, Georgia, in 1961 and 1962 to make a broader point about judging “success” or “failure” in social movements. It’s an interesting choice, because historians and, indeed, even some movement activists have long considered the Albany campaign to have been a failure. In one respect, this is true. The sheriff in that town avoided the spectacle of physical violence against local activists by simply arresting anyone involved in anything resembling protest. While making it difficult if not impossible to garner the attention of the media and federal officials, the arrests were hardly the exercise of restraint media and public officials claimed it to be. For an aggrieved group to learn it must rely on itself, even if the learning is accompanied by bitter losses in the immediate sense, is to strengthen itself for future struggles. The spirit of defiance that appeared in Albany in that time of turmoil was to outlast the momentary “defeat” that the press and the pundits lamented so myopically. In similar fashion, Zinn wrote about the development of the antiwar movement during the United States’ war in Vietnam. He described the disappointment with the small rallies in 1965 but noted how the efforts of grassroots activists slowly and methodically worked to build a mass movement against the war. Zinn’s observations will be familiar to activists, who must often contend with their own disappointments when particular struggles are not far along enough given the scale of the problem they arise from. But it’s instructive to those who may be new to activism to get a close view of how movements are actually built. The inspiring speeches that punctuate large or even small gatherings is the last thing that has happened—the harder work is convincing people to get over their sense of isolation and powerlessness. Organizing was critical, but so was political clarity—and Zinn contributed to both. Zinn’s writings and speeches throughout the Vietnam War era not only exposed the hypocrisy of the American state, which, at the time, could not even protect African Americans from the wanton violence of racists across the South. But more importantly, Zinn challenged the entire premise of war itself, including the idea that poor and working-class soldiers enlisted to murder each other for the benefit of the rich had anything to do with democracy or freedom. Zinn’s writing is a gift to be shared with a new generation of activists and ordinary people who search for hope in the darkness of the times we are living through. There is no end to the list of horrors and atrocities that face us today and which many of us feel simultaneously overcome and angered by. Whether it is the awful continuation of police abuse and violence in Black and Brown communities or the vicious attacks on immigrant communities as dictated by American policies and law. In the face of these, and what feels like a million other challenges, it is all too easy to be pessimistic or cynical about the possibility of change and overwhelmed into doing nothing. Zinn’s lessons from history are never about names, dates, and the actions of this or that hero. Zinn’s focus was always on how the collective action of regular people—our neighbors, workmates, classmates, friends, family—was the most important ingredient in creating social change. In other words, change always comes from below and not from the altruistic genius of elected officials. Change is neither linear nor is it guaranteed, but without struggle and resistance we will never get to the world that we want to live in—a world free from oppression, war, and inequality. Realizing the idea that “another world is possible” and that the struggles of ordinary people are the only way to get there is a tall order, but, in fact, this is what history tell us. Zinn’s indefatigable optimism and hope for a better world were not about blind faith or religiosity; they were grounded in his deep historical knowledge and personal experiences. We need Howard Zinn now more than ever. Not for the sake of romance or to construct another hero in history. We need his insights, his politics, and his commitment to the struggle for a better world. But he would be the first to tell you that he developed those insights from his intimate collaboration with hundreds of others. We no longer have him, but his words will live forever. When this book was first published in the early 1990s, Zinn wrote of the possibility for the reemergence of a movement against the continued reality of racism and inequality in American cities. 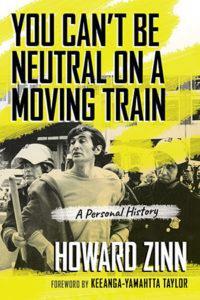 What he wrote then remains important today and speaks to the unique abilities of Zinn to capture the political possibilities or necessities of a given moment based on historical experience. There is no sign of . . . a movement in the early nineties. But the need for it is clear, and the ingredients for it are all around, waiting to be put together. There is a new generation of militant black youth, with enormous energy too often misused or wasted but capable of being mobilized if the right time and conditions appear. There are millions of people, white and nonwhite, increasingly impatient with the system’s failure to give them, however eager they are to work hard, security in jobs, in housing, in health care, in education. . . . If that [movement] can happen is . . . uncertain. But not to believe in the possibility of dramatic change is to forget that things have changed, not enough, of course, but enough to show what is possible. We have been surprised before in history. We can be surprised again. Indeed, we can do the surprising. The reward for participating in a movement for social justice is not the prospect of future victory. It is the exhilaration of standing together with other people, taking risks together, enjoying small triumphs and enduring disheartening setbacks—together. From the introduction to You Can’t Be Neutral on a Moving Train: A Personal History. Used with permission of Beacon Press. Copyright © 2018 by Keeanga-Yamahtta Taylor. The media are still grappling with many of the issues that defined Walter Lippmann’s extraordinary career. The civil rights movement photographer who was also an F.B.I. informant. “Bluff City,” by Preston Lauterbach, delves into the double life of Ernest Withers, one of the era’s great documentarians.